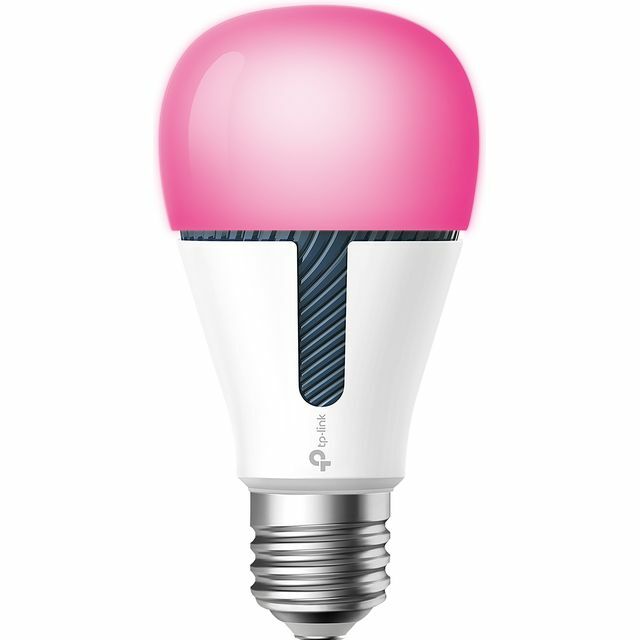 Change your lighting for every occasion with this LED multicolour smart light bulb from TP Link and Kasa Smart. Whether you’re hosting a house party or having a romantic night in, you can choose between 16 million shades of colours to illuminate your room. Plus, when you’re all snuggled up on the sofa you won’t even need to get up from your seat to turn off the light as you can easily do it from your phone. You’ll find the brightness setting on the app too, so you can dim the light to set the mood, while the timer feature is great for making it look like you’re in when you’re off on holiday. And, since it comes with a screw fitting and bayonet adaptor, it’ll work with both fittings. Please note, you’ll need to download the free Kasa Smart app, which is compatible with all iOS and Android devices.